Professional Wedding Disco and Mobile Disco Service in Essex. quotation for your wedding party service. Thanks for visiting Solar Wedding Services. Based in Essex, we are your first choice for wedding and party mobile discos, LED dance floor hire, chocolate fountain hire and much more. As a family run business, Solar Wedding Services has been running over 15 years. Headed by Chris Surrey, the business has grown from strength to strength. 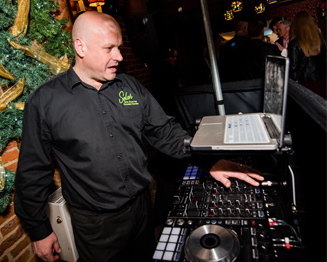 Originally a DJ back in the 1980's Chris grew Solar Disco's which continually invested in the highest quality of equipment catering for all types of events including weddings, birthday parties, anniversaries and more. As the business grew Chris expanded his services and now offers a full suite of outstanding wedding services guaranteed to make any wedding party or event 'out of this world'. Solar Wedding Services has been in business for over fifteen years and has an established reputation, grown primarily by word of mouth. When making a booking with us you can be guaranteed that we will not only show up, but provide a party that will be remembered for generations. Our experience can get people on the dancefloor and keep them there. Our mission is to provide the best quality of service whilst ensuring your guests enjoy themselves as much as possible.